Does your dog share your bed? Kristen Seymour of vetstreet.com did a survey of pet owners. Eighty-three percent of the readers and 75 percent of the veterinary professionals they polled said they allow a pet to share the bed. But while pet owners were more likely to let their dog sleep in their bed than were veterinary professionals, veterinary professionals were more likely to let their cat sleep in their bed than were readers. WebMD discusses the health implications of your pets sleeping in bed with you. According to a recent survey of pet owners by the American Pet Products Association, nearly half of dogs sleep in their owner’s beds. The survey found that 62% of small dogs, 41% of medium-sized dogs and 32% of large dogs sleep with their owners. I would imagine it’s much the same in the UK. Here is the story of a little Pug I went to that shared his lady owner’s bed, but when she started a new relationship it proved very hard to get him to sleep in his own bed! Here is another story of a dog I helped. I would say a dog should certainly not be sleeping on their bed if he growls at them if they move or if one of them wants to get into bed! This entry was posted in behaviour, PAWS for Thought and tagged dog share your bed, sleep with dog, sleep with pet. Bookmark the permalink. 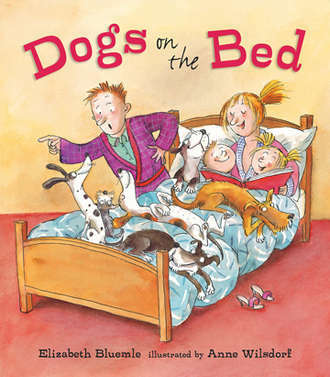 1 Response to Does your dog share your bed? I love dogs but I would not have a dog in my bed ever. If anyone does want their dog to sleep in their bed with them it should be at the owners invitation only. I have seen far too many dogs that invite themselves in to or on the bed and then progress to refusing to get off when asked to and then biting their owners when they try to remove them.